What does the tattoo crown with wings? The image of a crown as a tattoo does not occur too often. Typically, these tattoos are done by people who are struggling to seek power over others. In medieval symbolism, the crown meant a direct relationship to the ruling family. It is often portrayed in knight's flags and emblems. Tattoo with the image of the corona can be viewed as a type of elite tattoo, which is designed to emphasize a person's position in society. A more subtle interpretation of this symbol depends on the location of tattoo on the body and the accompanying images. For example, if the pattern is applied over the heart, this tattoo symbolizes good luck. Celtic bracelet — the characteristic image containing the heart, crown and two hands that support them means the Union of love (the heart), loyalty (crown) and friendship (hands). This symbol is becoming an increasingly popular motif for tattoos. Girls often choose non-traditional image of a crown to emphasize their superiority over others or just to stand out. Any special meaning of such tattoo usually carries. If the crown is accompanied by some other symbol, this usually indicates its importance. In many religions and cultures, the crown is considered a symbol of divinity. So, in Christianity, a well-known crown of Mary Magdalene, in the Greek, pagan mythology there is a Laurel wreath of Apollo, which also is essentially a crown, and in Korean tradition, crowned turtle symbolizes longevity and peace of mind. 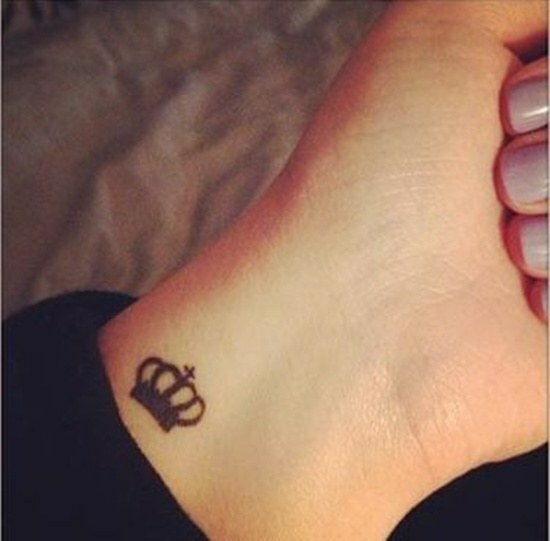 In General terms, the tattoo of a crown suggests that the man seeks power, wants to emphasize its importance, to make himself more important than he is. Paradoxically, such a tattoo can speak of the romance of its owner, striving to return to the good old times. It all depends on the style image of this symbol and place of its application. You need to consider that the image of a crown is often used in criminal tattoo, it is of special importance in the criminal world. The crown in the criminal tattoo speaks about a high authority of its carrier in the area. It is often an indication of a particularly serious crime convicts, the unwillingness to improve. We can say that the crown in the criminal tattoo is a symbol of hatred for the order. The crown placed over him, a flurry of rings on a snake, is an attribute of the kingpin. Crowned tiger with a skull in his paws, is distinguished by Gopnik and symbolizes the propensity for violence. The crown, placed on the back of the prisoner, is a sign of humiliation. The image of a crown is not often used for tattoos on the shoulder. 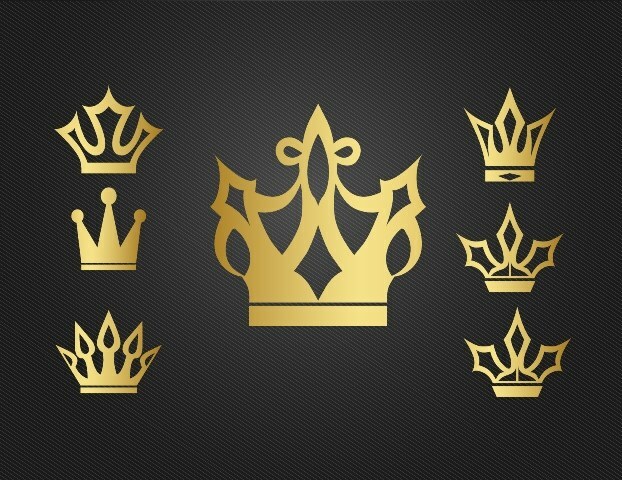 The fact is that although the crown may have for a particular person to their special importance, but in a General sense, this image symbolizes the uniqueness of man. Not everyone will dare to openly declare their superiority over others. The crown symbol has an ancient history. Since medieval times the crown inflicted on the coats of arms and flags of countries, kingdoms, genera. The special distribution crown acquired in countries with a monarchical structure, and designated close to the Royal family, as well as justice and prudence. Over time, the image of a crown crossed with the emblems and seals on the human body in the form of a tattoo. The crown in a General sense - a symbol of power. A man with such tattoo on his shoulder underlines its special position in society, and reflects its commitment to leadership and excellence over others. Most likely, the person with the tattoo of a crown on the shoulder has a very high self-esteem. In other interpretations, the crown may mean good luck, if located above the heart. The Celtic symbol, depicting two hands holding a heart topped by a crown item crown means loyalty. Often a tattoo of little beautiful crown girls do. This tattoo owner can show their privileged position in society. To wear a crown - worthy every. In another sense, the crown of the girl means freedom of choice and disposition of fate. To be such a wearable pattern maybe different parts of the body, including the shoulder. The crown as part of another painting emphasizes its importance. For example, in the East, crowned turtle means longevity. If in the composition there are several tattoo images, important, on which is depicted a crown. Sometimes the image of a crown means a connection with the deity. In the world famous Christian crown of Mary Magdalene and the Greek Laurel crown of Apollo. Special value has the crown in criminal tattoos. As a rule, the symbol indicates particularly serious offence or failure to obey prison orders and the system. If the image of the crown is applied over the snake – owner of the tattoo is a respected thief in law. Tiger with a crown and a skull in the feet represents the desire for violence and worn petty criminals. To distinguish a prison from a tattoo done in the salon is not difficult. The prison of body adornment have a bluish tinge and is usually made roughly. Tattoo of a crown on the shoulder is ideal purposeful people with an active lifestyle. If one intends to succeed in his business, becoming one of the best and to gain influence, it can safely apply the tattoo of a crown on the shoulder. This picture can be supplemented with a philosophical saying or names of your favorite people. Advice 3 : What does the tattoo crown with wings? Tattoos become more and more popular. But before you put on your body or that the image is more familiar with the meaning which it carries. 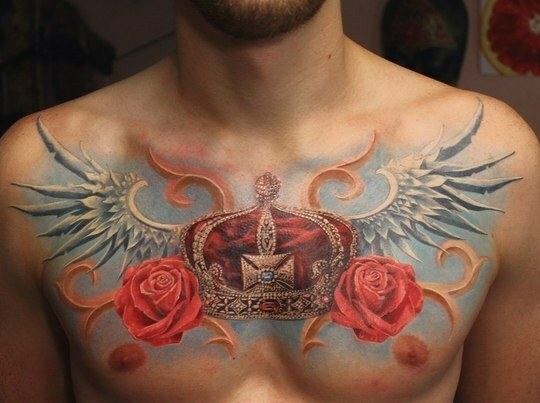 Aesthetically pleasing and look beautiful tattoo with a crown and wings. This combination brings the owner great fortune, and signifies the strong friendship and loyalty. This tattoo is a symbol of power and the desire to lead other people, to be in some degree worthy and above them. Early crown with wings symbolized that a person belongs to a noble family. The crown could also mean a great success. Tattoo with a crown at the present time is a rarity. And different social strata may perceive the symbol differently. If the crown is depicted with wings in the center of the heart, she is the personification of love and fidelity. The image in the middle ages could only do the monarchs. And in the UK this tattoo put on my body, the supporters of the king. Currently, the crown is made in a Celtic style, means wealth and confidence in the future. Tattoo with several pointed teeth can symbolize hope, faith and love. Crown with wings with semi-precious or precious stones, carries a philosophical meaning and could symbolize the search for the meaning of life. Often, these tattoos prefer to do on the forearm, which means the power or the desire to control other people. Some believers prefer to inflict that kind of tattoo as the embodiment of their religion. Crown with wings in this case means divine. The image of the Royal crown now prefer to do on various parts of the body: wrist, ankle, behind her ear. Some put on their bodies a crown with wings in secluded places, not wanting to stand in public. Others prefer to demonstrate body art. Before you put on your body this tattoo, it is advisable to think because in the criminal world, it means a serious crime. It can also indicate a higher position in criminal hierarchy. That would not symbolized by a crown with wings in the criminal world, for ordinary people is a symbol of victory, perseverance, and self-control. Girls often opt for tattoos are small and elegant options. Women's image of this tattoo often look like a whole work of art. For the girls crown with wings implies the uniqueness of the individual. Cartoon, stylized tattoo of a crown with wings small size suggests that its owner feels beautiful Princess waiting for her Prince.